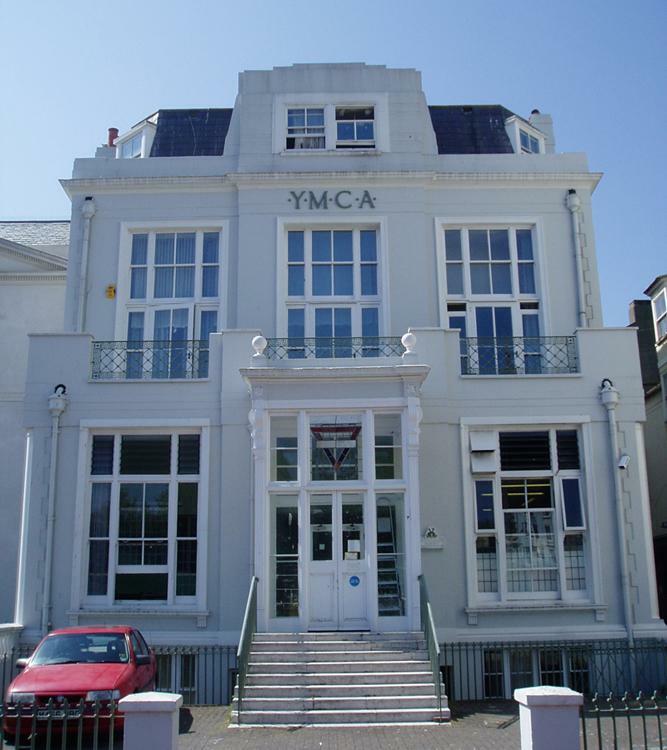 Steine House, known as the Y.M.C.A., is situated in-between two of Brighton’s greatest buildings – Marlborough House and the Royal Pavilion. It’s not surprising then that it has an important history of its own. William Porden built the fantastic Dome and Corn Exchange from 1803-8 for the Prince of Wales before the Prince became Regent. The Dome was built as stables and the Corn Exchange as a riding school. This was before plans had even been drawn up for the transformation of the Prince’s Marine Pavilion into the Royal Pavilion of today. Porden also laid out New Road in 1805 for the Prince for which I am very grateful – New Road’s Valentino is the best bar in Brighton by far! The Prince of Wales married Maria Fitzherbert in 1785 but the wedding was illegal due to the Royal Marriage Act of 1772 which forbade unapproved royal marriages. This wedding would never have been given approval due to Mrs Fitzherbert’s Catholic faith. Sadly, the Prince went on to marry Princess Caroline of Brunswick (after whom Hove’s Brunswick Town is named) but his love for Maria remained. There are certainly many rumours of the existence of a secret tunnel between the Pavilion and Steine House but these remain unconfirmed. It is definitely true though that a passage, which still exists, was constructed between the Royal Pavilion and the Dome in 1822 but that’s another story. 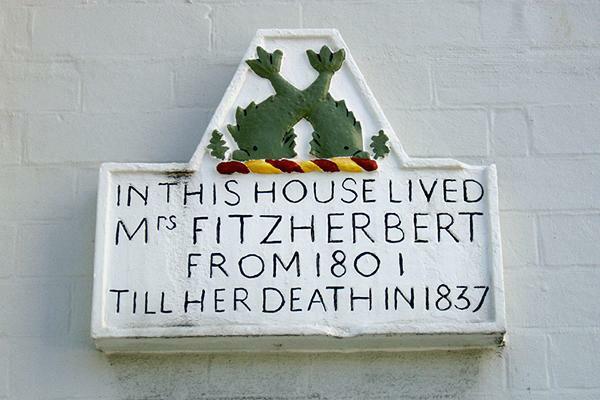 Maria Fitzerbert died at Steine House aged eighty in 1837 as a rather home-made plaque on the front of the house declares. Those seeking a more fitting memorial to Mrs Fitzherbert should see her plaque on the outer wall of St. John the Baptist RC Church on Bedford Street where she is buried. Who on earth is Lee Carbon and why should I do a piece on him? 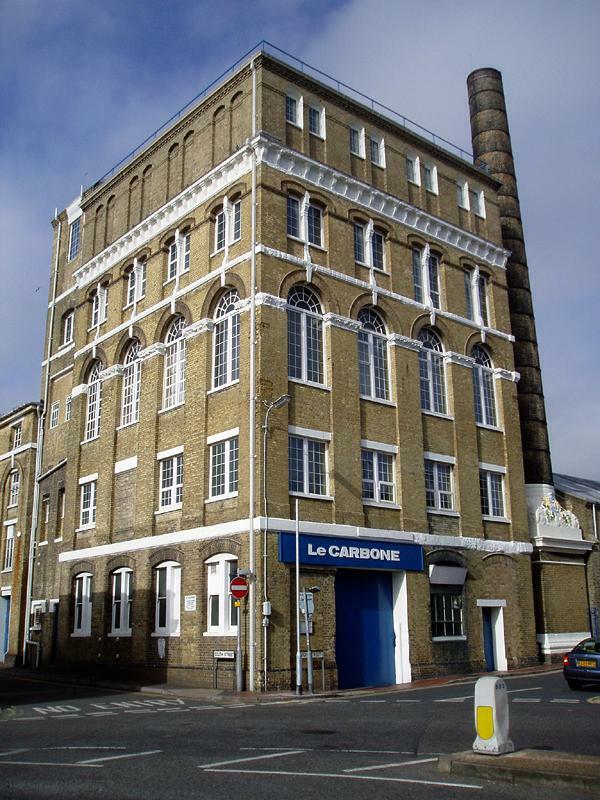 As I came to find out, Lee Carbon is the name given by locals to the former brewery on the north-east corner of the South Street/High Street junction in old Portslade which now houses a manufacturing firm – Le Carbone. The brewery, covering almost one acre, was built in 1881 for John Dudney. 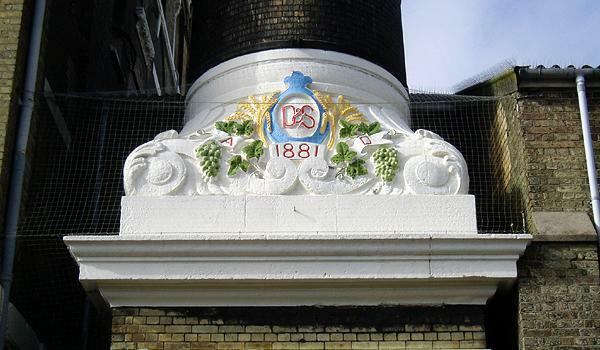 1881 is clearly stated on the massive chimney surrounded by carved bunches of hops and eaves of barley. The original building was an imposing five storey yellow-brick structure, towering menacingly over the tiny neighbouring shops and houses. Coopers’ shops, a cask-washing shed and stables were all on the site. The sixth storey (counting the basement as the first) was added later. When Dudney was in charge, the brewery was capable of producing one thousand barrels per week. John Dudney was a well-known prize-winning local brewer who specialised in the production of pale ales. In 1884, by which time Dudney was in his seventies, the brewery was sold to two brothers, Walter and Herbert Mews. Two of the finest properties in Portslade were built for the brothers. Whychcote was built for Herbert in 1895 and Loxdale around the corner for Walter a few years later. Whycote and Loxdale, along with Easthill House, Portslade Manor and Portslade Lodge, make up a fine and little-known collection of beautiful buildings in the old village area of Portslade. One wonders why the rest of Portslade wasn’t built in a complimentary style. Lee Carbon, or Le Carbone (Great Britain) Ltd as it known at Companies House, is a division of Carbone Lorraine Worldwide, a French company which designs and produces various electrical components including motors and industrial fuses. The firm was founded in 1891 and is today one of Europe’s leading electrical specialists. They acquired the brewery in 1947 following extensive army use during the Second World War (for training, not alcohol production) including the 1st Canadian Division. Part of the reason behind Dudney’s choice of this particular location as the home for his brewery was the natural spring that flows beneath the premises. He dug a well which was extended several times until it was 249 feet deep. Even now, the well floods and, in 1988, after several days of heavy rain, there was thought to be 1.5 million gallons of water sloshing around in the basement! After many years of neglect, Brighton’s most elegant manor house has reopened following a thorough and sympathetic restoration programme. The Anglo-Saxon words ‘staen’ and ‘mere’ together mean ‘pool of stones’ which, in this case, refers to the circle of stones next to Stanmer Church – hence the name ‘Stanmer’. The nucleus of the estate was purchased by Henry Pelham of Lewes in 1713 and enlarged by successive generations of his family who gradually bought up the surrounding farmland. The estate was used by the military during the Second World War and then purchased by Brighton Corporation in 1947 for £225,000 less a claim for damage. Stanmer House itself is Grade I Listed, its stables are Grade II* and many of the other buildings on the estate are Grade II. The House was designed in 1721 for Pelham’s son, also called Henry, in the Palladian style by the French architect, Nicholas Dubois. It was originally built with seven bays and a pediment across the projected central three. The eighth bay was added in 1860, leaving the building unsymmetrical (remove it! ), in a matching golden sandstone. The cornice and rusticated porch were added later also. The interior of Stanmer House is at least as impressive as the exterior and it is here that most of the recent work has taken place. The building’s current owner, the unstoppable Mike Holland, spared no expense during his ambitious restoration project. Stanmer’s spacious rooms are now an absolute delight to experience especially now that the plaster ceilings have been returned to their former glory. The grand staircase, fine panelling, solid floors, imposing fireplaces really deserve an article all of their own. Stanmer’s launch party in June was a fantastic event with entertainment provided by David Van Day, Terry Garoghan, the Drifters and the Cheeky Girls! 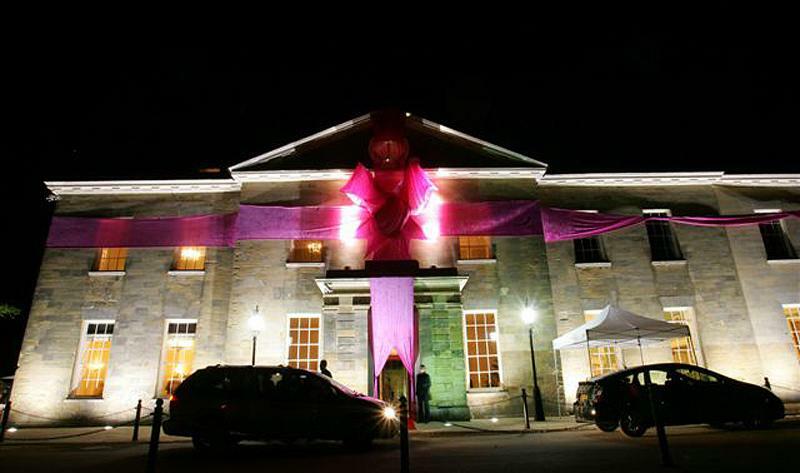 Stanmer House is now fully up and running and open for weddings and corporate functions (see www.stanmerhouse.co.uk for details). Mike and his team have done an absolutely fantastic job but don’t just take my word for it – go and see for yourselves one hot summer weekend. 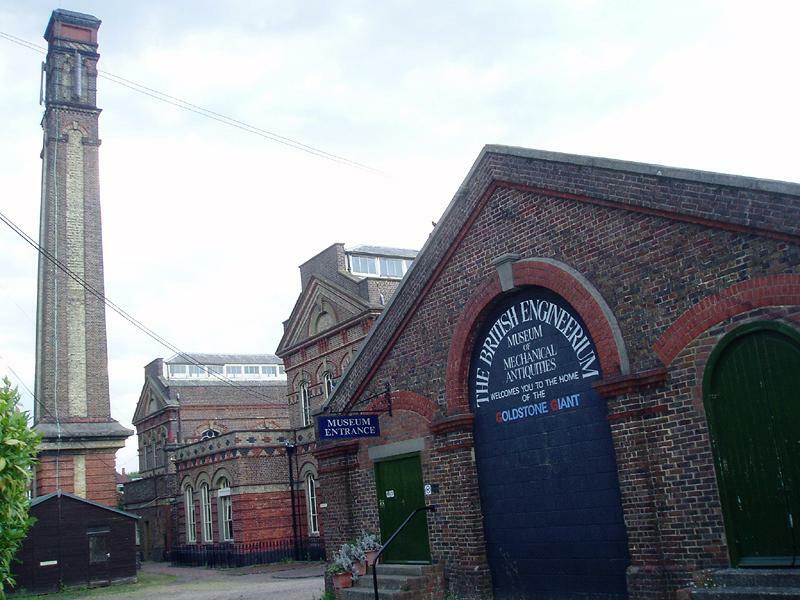 Of the various Victorian and Edwardian pumping stations that once provided water to Brighton & Hove, the British Engineerium on Nevill Road, Hove, is the only remaining example. Now that the whole country is short of water, it seems a particularly appropriate time to look into its colourful past including its recent dramatic rescue by Stanmer House’s Mike Holland. In 1862, a 3.5 acre site was purchased under the direction of Thomas Hawksley, who had over 150 waterworks to his name. It opened in 1866 as the Goldstone Pumping Station with a 160ft well as the source. Power came from a 120hp Woolf Compound condensing beam engine known as Number 1 Engine. A second engine, a 250hp jet condensing Woolf Compound, Number 2 Engine, was installed in 1875. Much of the action takes place under the ground though. In 1884, a 1.5 million gallon reservoir was added at a cost of £11,000. Various passages and holes lead to the subterranean boilers and coal stores. The demise of steam power during the 1950s made much of the works obsolete. Fears of demolition subsided in 1971 when the various elements of the site were Grade II and II* Listed. Jonathan Minns and his team turned the buildings into a museum which opened in 1976 as the Brighton & Hove Engineerium but became the British Engineerium in 1981. Today, it houses 500 pieces and is one of the finest collections of its kind. Its prize exhibit is Stephenson’s model of Locomotive 1 – a replica of Britain’s first train known as the “Iron House”. Number 2 Engine is still operational and the sight of its monstrous gleaming wheel spinning on full-steam in the ‘health and safety’ gone-mad world of today is truly something special. Although the Engineerium has always had funding problems, its recent closure surprised us all. I wasn’t surprised though when I heard that Mike Holland, whom I admire greatly, stepped in with £3 million of his own cash. 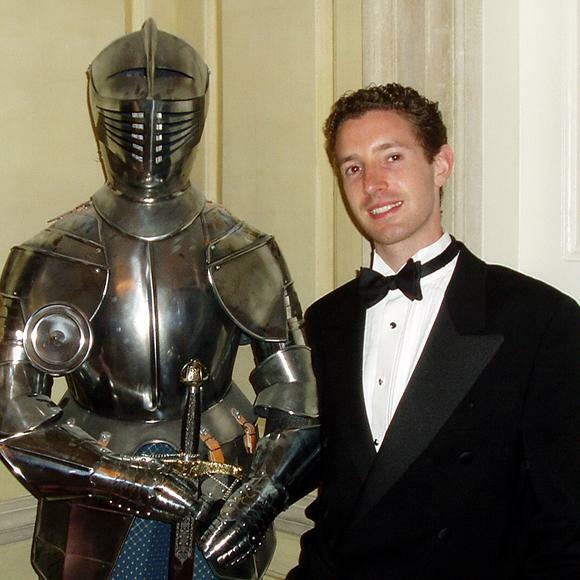 He even wants to invest more and plans to introduce a themed restaurant, tearooms in the surrounding gardens and events such as classical concerts and weddings. “I couldn’t bear to see another part of Brighton & Hove’s heritage disappear”, he told me. Quite! Following the purchase of the Clifton Hill Coach House by Roger Amerena and his Montpelier mates, this is a second smashing victory for local conservationists in as many months.